If you’re looking for the Best Portable Band Saw you’ve come to the right place. This buying guide will give you the information you need to decide which handheld band saw is right for you. 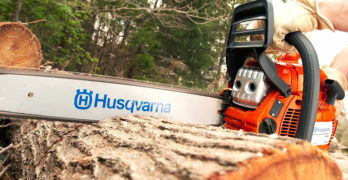 We review 5 excellent portable band saws worth your money. For a home shop or construction site, a portable band saw is the best way of obtaining ornate curved cuts. Whilst these are easily the best saws for curved cuts, they’re perfectly capable of making straight cross or rip cuts. So they’re very versatile tools. With such a wide variety of narrow and wide blades with many teeth options, they can handle just about any type of wood of different thicknesses. They’re also great for cutting metal or plastics when using a fine toothed blade. This makes a portable band saw ideal for cutting pipes. Many will view band saws as large floor standing machines and not at all portable. Naturally, the large machines are the preferred option for professional woodworking shops. But they are not ideal for the small home shop and certainly not portable, making them impractical for a jobsite. So there’s a specific need for portable band saws and that’s what this review and buying guide is going to focus on. In your search for the best portable band saw, your first question may be whether to go for a corded or battery-powered tool. Cordless tools are becoming increasingly popular for their versatility and the fact that battery technology has evolved so rapidly in recent times. Along with brushless DC electric motors, improved batteries have made these tools all the more appealing, although battery-powered tools are more expensive than their corded counterparts. As any knowledgeable tool guy can tell, we’ve chosen some great brands. While these machines aren’t the cheapest that you’ll find, their prices are very reasonable for the product that you’re buying. I’d say that any of these portable band saws are perfect for both the professional and the discerning DIY user. There are certainly more expensive machines available that some may view as being better. The Makita XBP027 springs to mind and should be the topic of a review all of its own. Though I believe that the list of top portable band saws that we’ve selected constitutes the best in terms excellent value for money at the higher end of the market. In a nut shell, these are very competent machines of an exceptionally high quality standard. You can’t go wrong with that sort of philosophy when looking for the best tools whilst considering what it does to your budget. There’s a lot to discuss and we should start by reviewing our selection of the best portable band saws. After which, I’ll go into some details that should be of value when looking at these tools. So I’ll provide a buyer’s guide for the best portable band saws that could prove to be incredibly useful to newbies and also provide some interesting reading for the seasoned professional. Best portable band saw for overall quality and integrated features. As always, Dewalt delivers an excellent band saw kit with a long list of useful features. LED light allows you to see the cutting area clearly. ✓ View or download the MANUAL for the DEWALT DWM120K Kit. Show me the familiar DeWalt yellow and black branding and you’re already most of the way to convincing me that this is going to be the best tool in its price range. DeWalt tools tend to be on the higher end of the price scale, but seldom (if ever) the most expensive. The DeWalt DWM120K portable band saw appeals to me on many levels. It has, arguably, the best cutting capacity of any portable band saw and, as many of us have come to expect from DeWalt, it’s as tough as nails – built for jobsite durability. Then there’s the fact that this comes in a kit, which means you get a little extra for your money. I don’t know if I’m the only one who feels this way, but tool kits always get me excited. There’s always a sense of boyhood delight when opening a box full of goodies. It’s a bit like Christmas when we were young. So for a very similar price to any of the best portable band saws, the DeWalt DWM120K includes a fantastic, tough carrying case and a standard 44⅞” X ½” X 0.2” blade, as well as the wrench that you would expect to get. Okay, so I’ve ruined the surprise a bit and there isn’t that much extra in the box. So this kit isn’t as exciting as one might think. It’s still great value for money and the carrying case isn’t a simple after thought, it’s a really useful item that’s made to last. Moving onto the real important stuff, what makes the DeWalt DWM120K one of the best portable band saws? It has a really impressive cutting capacity. If you’re cutting round tubing, it can handle up to 5”. For rectangular stock, you can cut through 5” X 4¾”. I may be wrong, but I don’t know of any portable band saw with this kind of capacity. Certainly a good reason to give the DeWalt top marks. Of course, DeWalt durability is the stuff of legends. Their reputation is built on the fact these tools last for years and years. Not only that, but they keep working perfectly and accurately long after others have been relegated to the scrap heap. That’s why DeWalt tools have been trusted by generations of craftsmen and DIY enthusiasts, myself included. To that end, the DeWalt DWM120K definitely makes the grade. The rubber edging along the bottom, protects both the saw and blade from damage, it really can take a lot of punishment and come out working great every time. The dual bearing blade guide is another impressive example of excellent build quality. This is not only very durable, but ensures perfect blade movement for cut after cut. I think what I like most about DeWalt tools is the manner in which they do everything possible to make our lives easier. This is something I often remark on. So many times tools look impressive to the engineers, but are not the best in practice. It’s as if DeWalt tools are conceived by workmen and then handed to the engineers to make them work. That’s kind of how the company started. Raymond DeWalt was a super attendant at Seabrook Farms when he conceived his idea for the first DeWalt saw. His intention was to build something that aided the workman, helping him to work more efficiently and accurately. This seems to be, now more than a hundred years later, part of the DeWalt DNA. When we look at the DeWalt DWM120K, this philosophy is all too apparent. The quick release for changing and re-tensioning the blade means that it literally takes a few seconds to do this. The multi-position front handle is another example of superb engineering that has the user in mind. You can obtain the perfect grip for maximum accuracy with a simple action. The handles also have a great soft grip and it’s really easy to use this 15-pound machine in every conceivable working position. It has a brilliant blade tracking adjustment, ensuring that you get the best use of your blades by prolonging their life. The bright LED work light, positioned just where you need it, is yet another example of engineering aimed at making your job less hassle and more accurate. It also has a hanging hook, making it possible to keep the saw out of harm’s way, whilst easily accessible when not in use. With a powerful 10A motor, adjustable speed dial and a sensitive speed controlling trigger, you can obtain any blade speed from 100-350 FPM with absolute ease. So you can work with perfect precision at a low speed setting when needed, or crank it up to make fast straight cuts through any material and cut through heavy-duty pipe like a hot knife through butter. Now it may seem like I’m somewhat biased in favor of the DeWalt portable band saw. To be honest, I am. This is a brand I’ve come respect over many years. So, in the aim of being objective, I tried to find customer reviews that differed from my opinion. This turned out to be quite a tough task. With a 4.7-star average rating with over 140 Amazon customers, it’s not easy to find any downside to the DeWalt. I immediately took a look at the single 1-star review and, I’m sorry, I can’t take it too seriously. One angry customer out of thousands is way better that I’ve seen for most products. The only reviews I found that legitimately point out the not so good, is that the free blade that comes with the saw is not of the highest quality. I’m prepared to forgive the guys at DeWalt for this. It’s easy to replace a blade. It’s the tool itself that I’m most concerned about and there doesn’t seem to be any reason to doubt this one. Besides, if you bought any other portable band saw, you’d probably have to buy the blade separately. So you really aren’t losing out. Anyone who might be apprehensive about the saw’s credibility, can take reassurance in the fact that DeWalt offer a 30-day money back guarantee on this product, along with a 3-year warranty and a 1-year free service plan. If you’re looking for an ultra-compact band saw then this is the best portable band saw for you. At only 6.75 lbs, it’s small and light enough to operate with one hand. Ultra-compact band saw for one-handed operation. ✓ View or download the MANUAL for the Milwaukee 2429-21XC. At first, it may come as a surprise that the Milwaukee 2429-21XC is the cheapest portable band saw in this review. This is certainly not a Mickey Mouse brand, it’s one of the top names in the business. Furthermore, this is one of three cordless models that we’ll be reviewing. Battery-powered tools are always more expensive than corded ones. Though before you think that there’s been some sort of error when looking at the price tag, take a look at the size of this tool. It’s a sub-compact portable band saw, which means it has a much smaller cutting capacity than any of the others. The very compact size and incredibly lightweight design does have its advantages, even though you’re not able to cut through very large objects. If you want the best tool to cut through overhead pipes in an area where space is tight, you won’t find a better tool for the job. Providing that the pipe is not too large in diameter. So, while you only have a cutting capacity of 1⅝” X 1⅝”, the Milwaukee 2429-21XC allows you to work in places where few others can. For one thing, the 12V battery means that you’re not restricted by extension cords. Though, more importantly, the compact size means it can get into a small space with ease. It measures only 11” in length and weighs a mere 6.75-pounds. Along with its low vibration levels and OSHA guarding requirements for one-handed use, it’s the most maneuverable portable band saw you’ll get. The motor has the power to cope with anything you throw at it. They say it can cut through ¾” EMT in 3-seconds and the Red Lithium XC battery can deliver up to 150 cuts on a single charge. Then there’s the excellent battery charger that only takes 30-minutes to charge the battery to full power. Like the DeWalt, this saw has a very easy lever control for changing and tensioning the blade in one quick, simple action. It also has a great variable speed trigger that allows you to control your blade speed up to a maximum of 280 SFPM. It has a great LED light, which is particularly handy when you think that this band saw is intended for site work in trying conditions. The single grip handle is comfortable and makes it perfect for working overhead, which is fantastic news for electrical contractors and others who work on overhead pipes. I would think that this is the main target market for the Milwaukee and, for these guys, it’s the perfect solution for so many jobs that could be a real hassle. I had so much to say about the fantastic kit that DeWalt offers in the form of the DW120K. But the Milwaukee gives you all this and more. You get the band saw, with a carrying case, 18TPI high-quality blade, as well as the M12 XC battery and charger with your purchase. Not to mention an unbelievable 5-year warranty. I realize that this very compact portable band saw is not for everyone. Carpenters, in particular, would find the cutting capacity to be a serious limitation. Though there are others who will find its compact lightweight design to be the perfect solution to what would otherwise be a jobsite nightmare. For these guys, there can’t be a better option. When all is considered, this is not a particularly expensive tool for one of the best quality cordless portable band saws from an undeniable champion in the power tool industry. 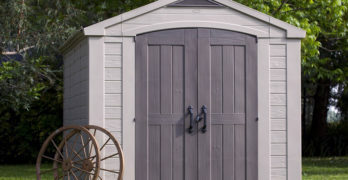 As far as customer satisfaction goes, it has scored just as well as the DeWalt (reviewed above) across a number of customer review sites with an average of 4.7 – 4.8 stars on the different sites that I checked. Bottom line, people love this band saw and I certainly can’t fault it. If you’re looking for a high-quality tool, made with heavy-duty components then this is one of the best portable band saws you can buy. Clean cuts, with almost no rework needed for burrs or tempering colors. Bosch tools are, to my mind, like faithful old dogs. They may not always be the most refined, but will keep serving you faithfully for many years without any hassles. Some Bosch tools are incredibly cheap and these tend not to have all the features that you find on more expensive options. 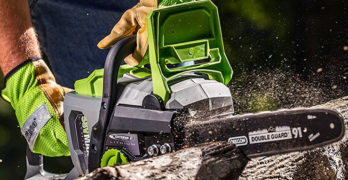 The Bosch GCB10-5 portable band saws is one of their more expensive offerings and compares very closely to the DeWalt kit that was featured at the top of this review. In terms of price, they are very similar. Their features and cutting capacity are also very closely matched. While I prefer the DeWalt, I can’t give you any good reason for this. Perhaps, it’s just the DeWalt name that evokes a sense brand loyalty in me. Though there are some typically DeWalt special features that sway me toward that model. It has the adjustable front handle and you get a carrying case with your purchase. I also prefer the more robust-looking blade guide bearings and tougher blade cover fitted to the DeWalt. With that said, these are my observations, I could be wrong. I know Bosch tools to be tough items. When we compare the power specs and cutting capacity, the Bosch is almost equal to the DeWalt. This band saw also has a 10A motor with a variable speed adjustment and sensitive trigger providing a blade speed between 100 and 380 SFPM. So it has a slightly higher maximum blade speed than the DeWalt, but falls slightly short in terms of cutting capacity. Though, with a maximum material size of 4¾”, it’s only ¼” behind the DeWalt. One can view these two portable band saws as equals for their ability to cut through the same type and almost the same size materials. Bosch boast that the GCB10-5 is virtually spark-free when cutting through metal and will not harm painted surfaces. So often metal blades generate heat that can cause discoloration or blistering of painted surfaces. Though I haven’t done any comparative tests to compare this to any of the others. For now, we can only accept Bosch at their word that this is one of the best portable band saws for cutting metal. The Bosch GCB10-5 has a very reasonable weight of 14.5 LBS and is compact enough for a band saw with this level of power and cutting capacity – 19.7” in length and a height of 6.5”. It has an LED light at the cutting line with an on/off switch, so the light is not automatically operated when you engage the trigger switch. Another minor issue is that the trigger switch does not have a locking mechanism, so you can’t lock the trigger and release your finger when making long cuts. Not a big deal, but this can mean a bit of finger fatigue on long days. It has an excellent blade guide and you can adjust the cut angle quite easily using an Allen wrench. It’s not a complicated tool to use and is pretty good as far vibration goes. The Bosch also has a convenient tool-free blade tensioning mechanism for fast blade changes and a handy hanging hook which is removable if not needed. So I prefer the DeWalt DWM120K for some of its more refined features. I know that not everyone will agree with me on this and I’m perfectly willing to admit that the Bosch GCB10-5 is a worthy contender for the title: Best Portable Band Saw. It’s a trusty beast with all the quality hallmarks that one expects from Bosch. You get a 1-year warranty and 30-day money back guarantee with purchase, along with a 1-year service plan – similar to that offered by DeWalt. One of the best light-duty portable band saws with a cutting capacity of up to 2½-inches. A great choice if you already own Dewalt 20V Max batteries. This compact band saw is also included in a full kit : DEWALT DCS371P1. Superior balance & ergonomics. Can cut up to up to 2″ SCH 40 pipe. NOTE : You can also buy the full kit , which includes this band saw : DEWALT DCS371P1 — if you don’t already own Dewalt 20V Max batteries it makes more sense to buy the kit, which also includes a hard case. ✓ View or download the MANUAL for the DeWalt DCS371B. The DeWalt DCS371B is the second battery-powered compact portable band saw to be featured in this review. It can cost a few dollars more than the Milwaukee that we reviewed a little higher up the page. But, then again, the DeWalt is slightly larger with a bit more cutting capacity. There are many who may argue that Milwaukee is the more prestigious industrial-grade brand. That really is a matter of opinion. I’ve already expressed my undying love for DeWalt tools and I think that both brands are among the best that you can get. Because the DeWalt and Milwaukee cordless portable band saws are quite similar in their design and intended application, I’m going to be comparing them quite closely. I think they will appeal to a similar market – contractors who do a lot of pipe cutting on site. Though these will not be the only guys who would find these cordless tools to be great. This model is from the older 20V Max DeWalt tool range. You don’t get a battery with the saw. So, in that sense, the Milwaukee is better value for money as they provide a battery and charger with your purchase. Though, if like many, you’re using DeWalt battery-powered tools already, this won’t make much difference. 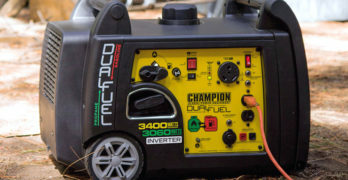 You probably have a bunch of batteries already and this is even better if you have their newer 20V/60V FlexVolt batteries as this will give just about the best working time for any cordless tool. The 2½” (round) cutting capacity gives the DeWalt a distinct advantage over the Milwaukee which can only cut material up to 1⅝”. With the larger capacity, comes more weight and this portable band saw is a bit more bulky, weighing 8 LBS with a length of 15”. This is still very reasonable, but the Milwaukee will prove to be more nimble in some situations. DeWalt has made up for this with an excellent handle design. It’s perfect for single hand operation with a wonderfully balanced handle position. Though it is just as practical when used with two hands as it has an extended knob at the front of the soft grip main handle, it looks a bit like an old-fashioned hand planer. This will help you obtain better stability when needed. All the features that make the corded DeWalt portable band saw so great, are present on this model too. It has the wonderfully durable double bearing blade guide, blade tracking for longer blade life, and tool-free blade changing. It also has an LED light with a 20-second delay to illuminate the cut line and a convenient hanging hook. The trigger has a lock to reduce user fatigue. It has a very impressive maximum blade speed of 570 FPM. Though there’s no speed adjustment dial and the trigger seems to be either on or off with no speed control as you squeeze it. Not the best for detailed cutting. Your purchase includes the band saw, a 14/18 TPI blade, and a wrench for the blade tracking – that’s it. So you’re not getting anything extra for your money. You are, however, getting a superb tool, I’m sure you wouldn’t expect anything less from DeWalt. As I’d have expected, Customer response has been extremely positive and this tool has been around for a while which has given people the opportunity to put it through its paces in all sorts of conditions. The DeWalt 3-year warranty, 30-day money back guarantee, and 1-year free service plan also applies to this product. Ideal for a wide-range of cutting applications, such as : Conduit pipes, steel pipes, power cables, aluminum window frames and various plastics in electric, plumbing & mechanical work applications. A remarkable product and it should be at the top of your list for the best portable band saw that you should buy. Excellent quality & many unique & practical features like Auto Mode. 18V Battery (Lithium-ion) : Hitachi 339782 18V (3Ah) Slide-Type Battery or, if you want to double your running time, then get the 6Ah 18V Battery (338890). *This band saw is compatible with all Hitachi 18V Lithium Ion slide-type batteries. ✓ View or download the MANUAL the PARTS LIST OR the SPEC SHEET for the Hitachi CB18DBLP4. Hitachi tools are often much underrated and are actually very well-made products, often at a much better price than their competitors. If you consider that this is the largest cordless portable band saw in our review, with a price very similar to the other two, it certainly is great value for money. Though, I have to say that I’m not very impressed with the plastic blade cover and the clips that secure it. This doesn’t seem to be as good as either the DeWalt or Milwaukee models that we’ve looked at here. Other than this, the Hitachi matches the other two in most regards and actually beats them on quite a few levels. If we start by looking at the cutting capacity, the Hitachi is a winner in the cordless portable band saw lineup with a quite impressive 3¼” capacity. It also has a very impressive speed range of 260 – 640 SFPM. It has the usual speed control dial and sensitive trigger to give you great control over the blade speed. In addition to this, it has an automatic mode that will adjust the speed to the material without you doing a thing. In this mode, it has a speed range of 395 – 640 SFPM. It has a great soft grip main handle and an auxiliary handle that can be easily removed without any tools. Like all the others, blade tensioning also requires no tools. It also has an LED light. While I’m not too impressed with some the more flimsy-looking plastic used in some areas of the saw’s construction, this does seem to give it a great weight advantage of only 6.45 LBS. This is the tool weight and doesn’t include the battery. The 18V lithium-ion battery performs well and should give you working time that compares well to most other cordless portable band saws. It also has a lot of great electronic safety features that include overload and overheat shutdown, as well as a soft start to prevent recoil. The brushless DC motor is up there with best of them and is super-efficient. I wouldn’t be too concerned by the lightweight design of this saw, making use of less impressive plastic in some places. On the whole, all the major components appear to be as durable as one would want and it should last you a very long time. It has some great features that place it above the others as a very easy to use portable band saw. If you want a cordless portable band saw with a cutting capacity like no other, this should be your first choice. If you’re a beginner, buying a portable band saw may open up a myriad of questions. Even if you’re a tool boffin, a little guidance in selecting the best portable band saw can be helpful. A question that many folks are asking, is whether a portable band saw is better than a jig saw or vice versa. This is one of many questions that I’ll be answering. Though, let’s start with the basics and then move on from there. What is a portable band saw? Traditionally, band saws have always been large upright shop machines. The basic principle of any band saw is the continuous blade in the form of a band. The blade fits over circular discs on either side of the cutting orifice and the blade is tensioned around them. As the discs rotate, the blade moves in a continuous motion. A portable band saw is a small handheld tool that uses a much smaller blade than their table saw counterparts. This means that they can be used on a jobsite or around the home, but don’t provide nearly the same cutting capacity as the larger machines. They do, however, perform many valuable tasks that other saws cannot. A band saw is used to make high-precision curved cuts and can also be used for re-sawing wood, metal and plastic. They are used in most industries, from wood and metalworking to electrical and plumbing contractors. They are the best saws for cutting pipes with the greatest speed and accuracy and won’t leave a burred edge like you’d get when using an angle grinder. If you’re considering a portable band saw for the first time you may be wondering what the difference is between a portable band saw and a jigsaw. They’re actually very different tools and it’s best to own both. Though if you need choose only one, this next section should help you decide which will be the best for your needs. Both a jig saw and a portable band saw can be used for making complex curved cuts and this leads people to assume that they are very similar. Though this ability is about all they have in common and, even then, they are not exactly the same. Bosch JS365 Jigsaw | How is it different from a band saw? A band saw will always provide the greatest accuracy for curved cuts and, depending on their size, can usually cut a greater depth than a jigsaw. Though many portable models don’t have this advantage. Generally, a band saw allows you to work much faster and you can’t really re-saw with a jig saw, they tend to jump around a lot and aren’t as accurate. A jigsawis able to make plunge cuts, so you don’t have to start at the edge of a board. Because the band saw blade is a continuous loop, you cannot insert the blade into a hole like you can with a jig saw. So the main advantage that a jig saw has over a portable band saw is that you can cut into the board from the top, or into a wall. If you want to cut an opening for an electrical socket, a jig saw is the best tool for the job. It’s impossible to this with a portable band saw. In all other respects, a portable band saw is probably the best option. You have better control over the machine, so it’s more accurate and they can cut much faster than a jig saw. I’d say that blade speed is a very important aspect to look at. For fast straight cuts, you want a high blade speed and the greater the Surface Feet per Minute (SCFM) is, the faster you can work. When making detailed curved cuts, you want a slower blade speed to give you maximum control over the cut. So the best portable band saw will give you the greatest speed range (from fast to slow) and the best control over the speed. Speed controls can vary. The best machines will have a dial that sets the sensitivity of the trigger which is how you control the speed as you work. So, by adjusting the dial to the lowest setting, your trigger will have the most control at slower speeds. As you turn the dial up, you’ll be able to obtain greater blade speeds, but with less control when trying to work slowly. Your cutting capacity is determined by the gap between the blade and the body of the saw. Whether a greater or lesser capacity is better, will depend entirely on your application. A small band saw with a lower capacity is best for cutting pipes, trunking and other similar materials that are already installed. They allow you to work in spaces that a large machine won’t. For most woodworking applications, a larger cutting capacity is best. It’s likely that you’ll want to make detailed cuts into thicker pieces and wide molding, when using a band saw for woodwork. A work light that’s mounted to the saw at the blade is more important than with most other saws. This is because of the detailed nature of the cuts that you’ll be making with the saw. Intricate curved cuts require good visibility of your cut line. If, like many contractors, you’re using the saw to cut material in dark corners of a site, the light is obviously a great advantage. Most portable band saws make use of a blade tensioning lever and this is much easier than the ones that requires tools and complicated procedures. Since this is fairly common feature, I’d recommend choosing a portable band saw with tool-free blade tensioning, it saves a lot of time and hassle. 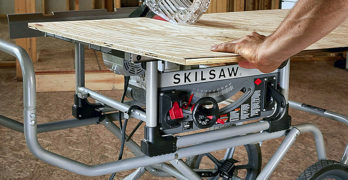 It’s fairly common for a portable band saw to be mounted to a table for greater accuracy and ease of operation. Some models offer the option of a table for that model, though most can be adapted for table use. Blades used for portable band saws come in all shapes and sizes. Your first consideration is to use the correct blade for the type of material that you’re cutting. The packaging will provide you with the recommended materials for that blade. For every type of material, you’ll get a variety of width and teeth per inch (TPI) options. A wide blade with fewer teeth will be the best for cutting at speed through thicker material. A higher tooth per inch spec will give you a much cleaner cut, but you’ll have to work slower. A narrow blade is always better for detailed curved cuts.